In India, offering a Paan (betel leaf) or Beeda to a lover is an invitation to erotica. It is an honor when offered to welcome guests. It is graceful hospitality when it is served at the end of a festive meal. It is devotion when offered to the gods. And finally, it is pure romance when it is used in wedding games between newly-weds! 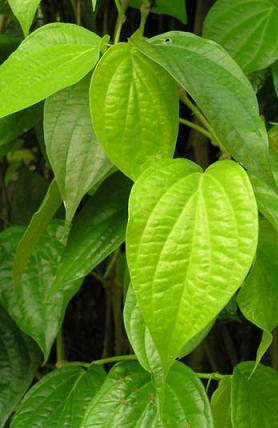 Go to any Indian social, festive or religious function and you will certainly see the heart-shaped betel leaf used in many interesting ways. A fresh-looking, deep green leaf, the Paan or betel leaf has been an integral part of Indian erotica, religion and culture for millenniums. The earliest records such as the Rigveda and the Puranas show that it was considered medicinal with its bitter-pungent taste and digestive qualities. In several of the ancient texts, there are references to a Paan bida being offered to deities during the rituals of worship. 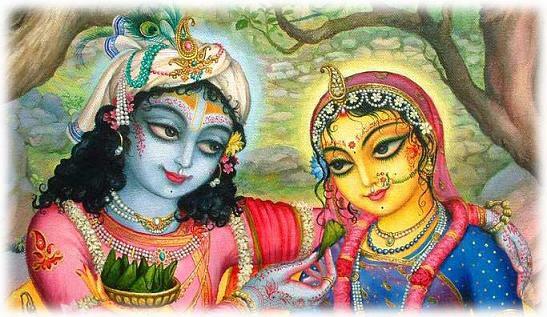 During the Mughal and Rajput eras, a large number of miniature paintings are reminiscent of the romance of Krishna and Radha in which Krishna offers Paan bida to Radha. All these indicate that offering Paan and betel nut has been a custom for thousands of years in India and has been an integral part of religious rites, cultural vignettes and social graces in all communities that have lived in the sub-continent. However, there is no clue in history to solve the puzzle as to why India’s neighbouring countries like Thailand, Cambodia, Burma, Viet Nam or Malaysia and others have few such traditions. 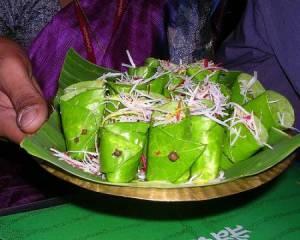 Paan eating is thus majorly restricted to the Indian subcontinent and is widely seen in India, Pakistan and Bangladesh. It is sometimes seen in Sri Lanka and increasingly in Western countries where there are Indian, Pakistani or Bangla Deshi populations. This ever-popular leaf, which is as traditional an end to a festive Indian meal as are many mouth-watering desserts, is grown all over India – especially in moist, shaded landscapes where the rainfall is abundant. The creepers of Paan are usually cultivated around betel nut palms in plantations in most states of India. And naturally, depending on where they are grown, there are varieties of Paan which taste and look different in shape and colour. 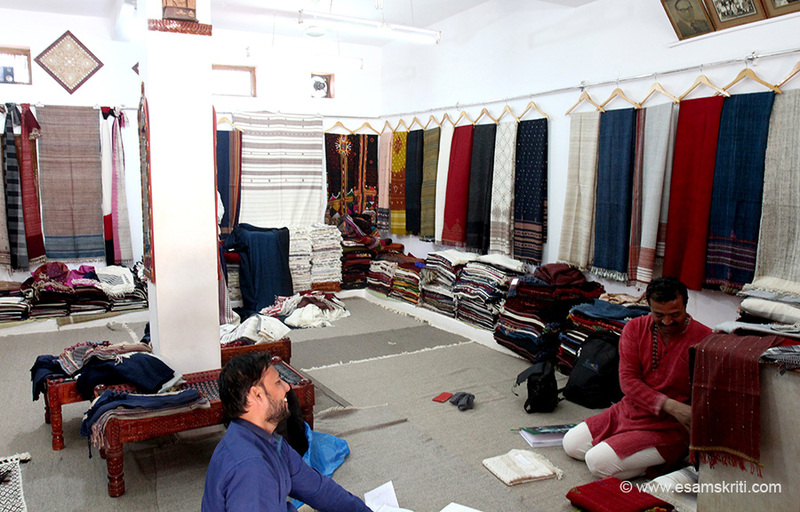 For instance, the famous Paans offered in Uttar Pradesh – especially in Varanasi – are the Maghai and Jagannath. Maghai is small, delicate and sweet to taste. It is almost always eaten in pairs. Most connoisseurs choose this gentle variety, stuffed with mouth-freshening fennel, a touch of mint, betel pieces and fragrant saffron or dry fruits. The Jagannath variety is for more ardent lovers of the Paan and is large and dark green. Bengal grows the Mohoba which is thicker and good for a bite when stuffed with scented betel nut slices. 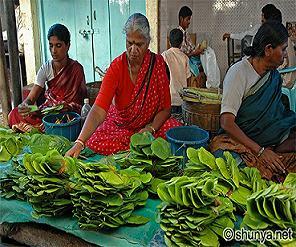 Other than this, the Madrassi and Ambadi varieties of Paan eaten commonly in peninsular India are more for habitual eaters of Paan who patronize Paan stalls in cities and villages in large numbers. Most lovers of Paan know the varieties and are particular about the ingredients and choose their bidas with care just like wine lovers make their choice carefully. The ingredients also differ depending on the buyer. Many stick to the innocent fennel, peppermint, rose petals in sugar and a bit of catechu or katha. Others, who are addicted to tobacco, add a lethal mixture of betel powder, catechu and tobacco paste to enjoy their treat. The last mentioned is considered dangerous and carcinogenetic. All other non-tobacco versions are served at religious, cultural and social functions. There is a general belief that eating Paan reddens the lips like lipstick. Indeed, there are miniature paintings and poetic references to the lips of Radha, red from chewing Paan in many books. However, it is important to remember that the Paan itself does not create the redness. It is the catechu and lime mixture which colours the mouth and lips of the eater. The mouth-reddening quality of Paan has an interesting anecdote. 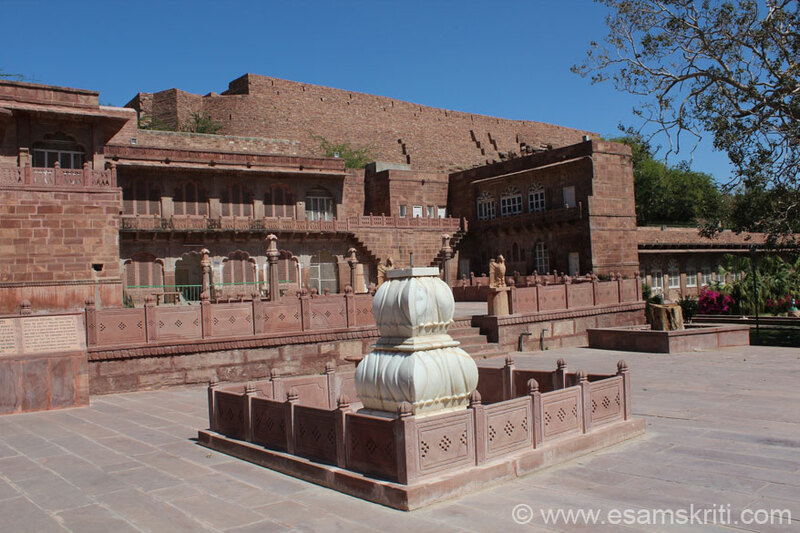 There are references to the Paan eating habit of the Moghul Queen Noor Jehan, the step-mother of Emperor Shah Jehan. 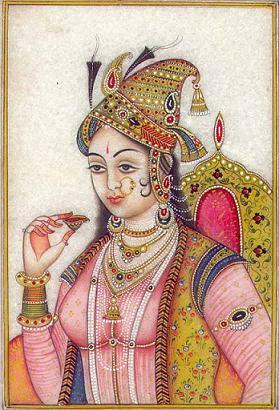 Paintings of the era show her holding a Paan bida and quote her as being thrilled with the ‘red lips’ effect of this delicacy. 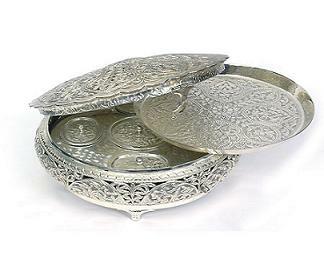 Perhaps as a tradition from this anecdote, the Moghul court was known for its luxurious Paan bidas and the Nawabi culture of Lucknow and Hyderabad featured not only Paan parties but also the creation of artistic containers called Paan Daans to carry the fragrant parcels wherever the courtiers gathered. Today, Paan Daans in silver or other metals, or cloth chanchis or bags with pockets for different ingredients are used by many Paan lovers. 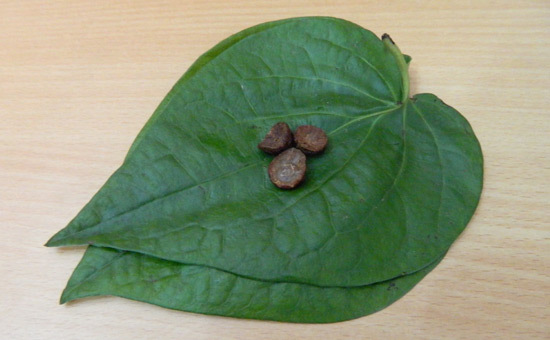 Paan bidas have been the theme of many folk songs as well as classical literature because they are considered to be aphrodisiacal or medicinal. Further, the Paan, without its ingredients, plays a vital role in the religious rites. At every havan or pooja, the deities are offered a pair of Paans, with no trimming, but topped with a whole betel nut and some money. This combination is also used to complete a gift given to guests or relatives on auspicious occasions. Giving twin Paans with a betel nut and money is the completion of the gift and a symbol of goodwill. In many states, the Paan plays a romantic role in weddings. In Bengal, the bride enters the wedding mandap covering her eyes with two Paans and takes them away only to see her bridegroom in a Shubh Drishti ritual which means ‘auspicious glimpse’. In Maharashtra, after the sacraments of marriage are over, the bride and groom share a meal at the end of which, the bridegroom holds a bida in his mouth and invites his new bride to bite off half of it, much to the entertainment of the onlookers. Paan bidas are also served to all invitees, sometimes with a coconut to take away. Paan is also an ever-present motif in temples where rituals of worship go on all day. Finally, growing Paan and selling to millions across India is truly a big industry. Daily, the vast train network of India carries basket loads of Paans of all varieties to different cities for vendors to buy wholesale and then to offer to their customers. Every village or city in India has literally thousands of vending stalls which supply all varieties of Paan bidas to their regular clientele. It is customary for such people to buy the day’s quota from their favourite Paan maker and carry it with them through the day to eat whenever the urge to eat one comes upon them. There is a belief that Paan eating originated in Malaysia and then went to Africa too. But today, India, Pakistan and Bangladesh are the major consumers of this exotic parcel of a heart-shaped leaf containing fragrant spice mixtures and often, a sharp touch of tobacco! The Paan is said to be also a part of Vietnamese culture. 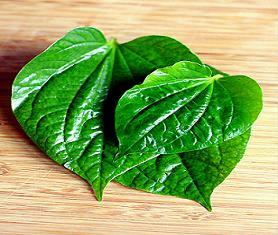 There is a saying that the betel leaf starts off the conversation in many cultures. It kicks off formal gatherings and breaks the ice. In South East Asia the groom, as a token of exchange, traditionally offers the parents of the bride Paan. For example, the phrase ‘subject of betel and areca’ is synonymous with marriage in Vietnam.